20th Century Fox will start coding it for new movie releases soon. Samsung's upstart HDR10+ format took a big step in its fight against Dolby Vision for HDR supremacy. 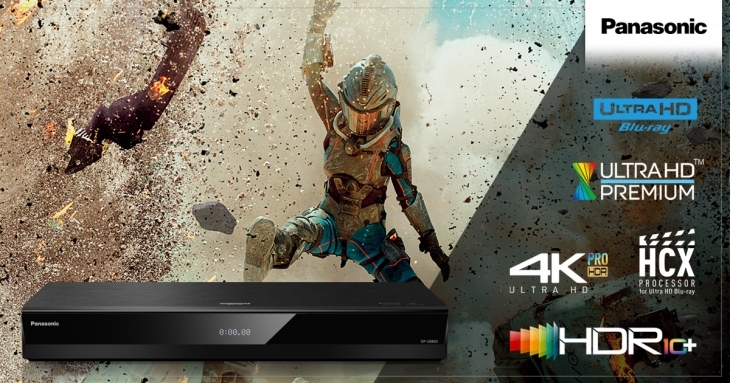 The group announced that Panasonic and Samsung have deployed HDR10+ firmware to select 2018 4K TVs, and that 20th Century Fox will start encoding new films using the tech. That means if you buy a new 4K TV from Samsung or Panasonic, you'll soon be able to watch programs that look better than those encoded with regular HDR10. Both Panasonic and Samsung said that the majority of their 2018 4K TVs will support HDR10+, either from the factory or via firmware upgrades. And according to the HDR10+ consortium, "20th Century Fox has committed to incorporating HDR10+ in its upcoming new release slate ... and plans to announce availability in the coming weeks." Consumers might wonder why another HDR format is needed when we already have Dolby Vision and HDR10, and the answer is all about money. Dolby Vision offers a superior viewer experience to HDR10, but filmmakers and TV manufacturers have to pay significant fees to use it. That's why Samsung, along with Amazon, decided to launch a royalty-free alternative. While not completely free, adopters are required to pay just a "nominal administrative fee," the HDR10+ group said. With regular HDR10, night scenes can look "significantly darker than was originally envisioned by the director," Samsung said last year. To prevent that, both HDR10+ and Dolby Vision use "dynamic metadata," pre-encoded into scenes, rather than the fixed metadata used in HDR10. That allows creators to adjust brightness and color levels on a frame-by-frame basis. HDR10+ does lack some Dolby Vision features, like support for super-bright 10,000 nit TVs and 12-bit color encoding, but few consumer TVs have those features yet. If you get a new 4K TV might have HDR10+, you will have something to watch, as the entire Amazon Prime Video HDR catalog is available on HDR10+. As for other content, only 20th Century Fox and Warner Bros. are currently on board, and neither have encoded any movies yet. With the hardware available now, however, we should hear content announcements soon. Update 8/28/18 12:54 PM ET: The article originally said there was no HDR10+ content yet, but Amazon reminded us that its entire Prime HDR catalogue is available in HDR10+. The post has been updated with the correct information.